Tag Archives: how to live in the time of tribulations? Everything that you built on false hood will perish. If Allah wish Faith ((Imaan) then Whatever is on halal will remain in your pocket and under your feet and whatever is haram will leave you. So prepare for the hardest times of humanity. 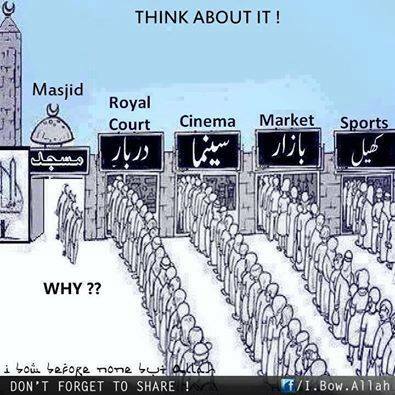 All that is built with haram will perish. So look at your house,is it mortgaged with Riba (interest/usuary)? Then it will leave you soon. Look at your car is it brought with bank loan? Then it will leave you soon. Look at your public transports (road rail flight ship etc). Is it financed from interest paying capital markets?. It will perish soon. All technology and infrastructure will cease to exist, because it’s finance is sourced from Riba (usury terms)! Look at your food, is it transported by interest paying and alcohol selling super markets?. Then your food going to an end soon. Awliya Allah,especially Mawlana Shaykh Nazim Al Haqqani (q.s) said to go to homeland/country side and establish farm house and community four years ago! I did not see any murid in Europe and America taking heed. So many khalifas fooling mureeds and themselves. Because they did not yet completely believed in their Shaykh yet! You can sell your property and donate money to build Islamic community in the countryside and you and family also take part in it, in that way your mortgaged life and wealth will be purified. Otherwise you lose all that without any use to you and no use to anyone else. Like 100 families to 300 families together contribute their skills or wealth or both. And move to places where arable land and water sources available and make living with a dergha such way you can spend all that wealth in the cause of Allah and purified your wealth and be in safety in this world and hereafter. So now you think i am crazy. But after a few years when you are late to take this advise,and you will say Ali was right and we are late. Ali takes from heavenly source and warning you and you took from your own nafs and it is cheating you. So many busy with building dergah and masjids in cities, just to show off their group’s strength and presence! Nabi alaihiswalathu wa salam and Awliya Allah are ordering Muslims to seek shelter and place of worship in country side! So today, how many are doing it?, I am asking to Naqshbandis in Europe and America! Instead of spending in big cities why don’t you spend in country sides?, you are thinking that the earning you getting from city jobs is going to stay with you? Your banks may disappear without giving you a prior notice, you had signs from Greece and Cyprus! Cyprus and Greece are two examples and Signs given to you, but you rejected it! In a statement Mawlana said: “Those who do not take advise, Awliya Allah will not take their responsibilities! You can refer Saltanat TV, ah, Saltanat is another Sufi entertainment channel for you, to look at nice video of Mawlana say masha Allah Masha ALLAH from your luxury room in an Apple Mac Book! So if you are taking heed, then get ready and make your wealth Wakf (religious trust) and build community and share with them. Make farming and skilled traditional works. Learn history, study how people lived a 1000 years ago, brink back those methods and life style and at that time, the trials and tribulations will not affect you at all! If you train yourself now, then you do not miss having a car, you do not get distress not having internet and phone connection. You do not get bored not going to restaurants for dinner and watching films! Begin to change now, before you are forced to change by circumstances and nature. Take training from people who live in country side, do not get fooled by Shaykhs and leaders who call you to cities! There is no blessings on Cities, cities are fortress of Satan, and center of all evil! Stop living with paying, payments are dependence, be worldly life independent from Cities and markets as much as possible!